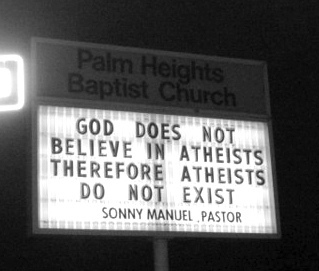 Atheists are also human beings. If there were God, he created Atheists as well. He created all types of people in this world anyway. So, the statement does not make any sense at all. Acceptance of non-standard people has been a major issue in this world. There is really no difference amongst the peoples of the world, except for their faith and beliefs. 3. The only difference between people is their faith and belief. So, being right on all counts, you win hand down! Passed by the Chinese Methodist Church today where they are holding Alpha. Remember you attended two sessions with me. The lady remembered you and asked about you. I told here you were happily high flying in Mumbai.